1. Prepare your work space. 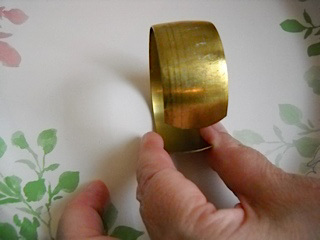 Clean your blank or stamping in a small amount of dish detergent (I prefer Dawn), and hot water. If there are lots of nooks and crannies, use a firm toothbrush to clean. Rinse and dry thoroughly. 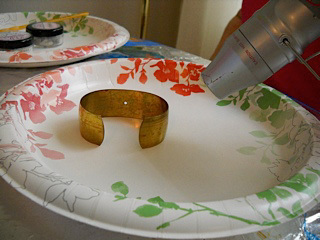 Place your cleaned and dried piece on one of the coated paper plates, and the Iced Enamel Powder and Mica Chip containers on another plate. Open both containers and place the lids loosely on top of each. 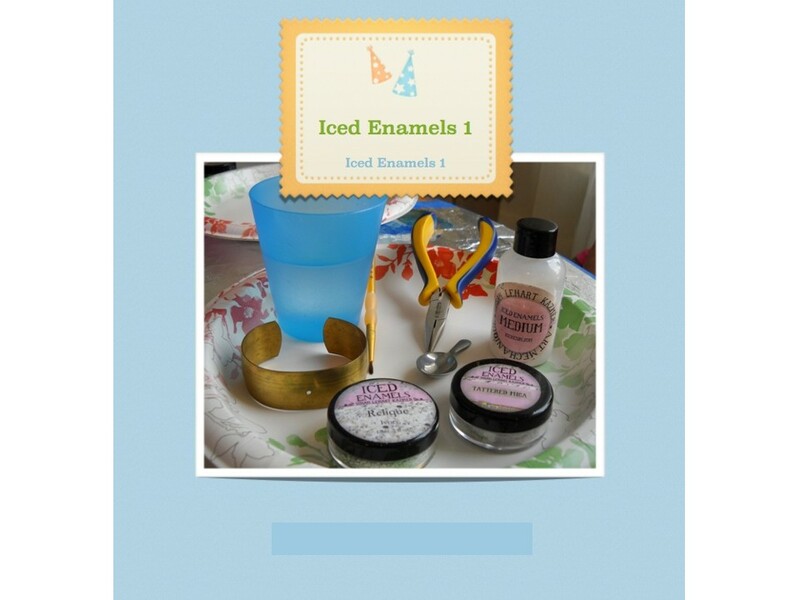 Place the Iced Enamels Medium, paint brush, chain nose pliers or tweezers, heat gun, and paper towels within reach. 2. 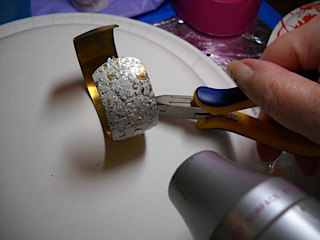 Plug in your heat gun and warm your piece for about 30 seconds. a. 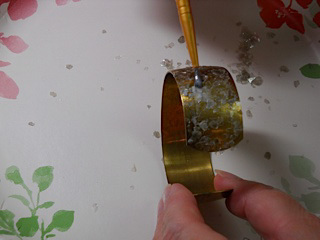 While your piece is cooling slightly, remove the caps from the Medium, Enamel Powder, and Mica Chips. 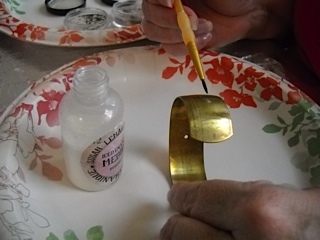 a.	Dip your brush into the bottle of Medium and apply enough medium to your piece to coat it, but do not allow it to puddle (will look white when it puddles). b. 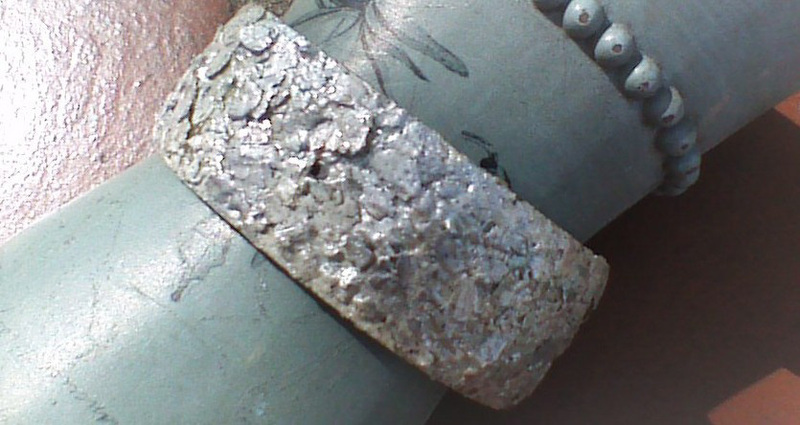 Using the spoon or your fingers, apply enough Mica Chips in a layer to cover the area, overlapping and stacking as necessary to achieve a textured and dimensional look. Make sure to cover the entire 2 inch work area. c. Add a light coat of Medium to your brush and apply to the tops of the Mica Chips added in the previous step, (some of the Mica Chips will stick to your brush during this step…just tap on the chips with your brush until they drop off), moving them around, leaving some in a single layer and stacking some to create texture and dimension (do not allow the medium to puddle during this process). 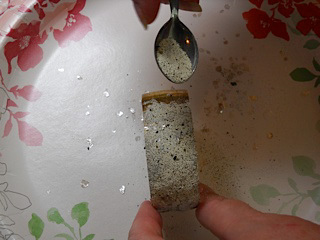 d.	Take a generous amount of Iced Enamel Powder on the spoon and sprinkle it on top of the Mica Chips by gently tapping the edge of the spoon with your finger. Using your Tweezers or Chain Nose Pliers, pick up your piece. 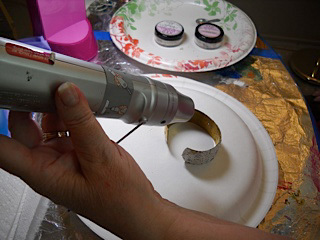 Holding the piece over the paper plate, gently tap the edge of the piece with the spoon to remove the excess Iced Enamel Powder. 5. 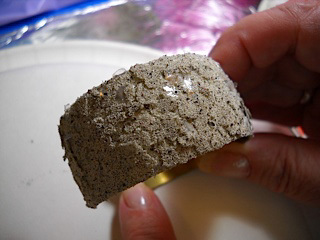 After your piece has cooled completely, add two or three light coats of Iced Resin. 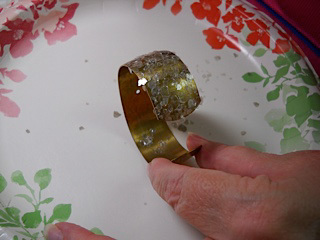 Follow the instructions for mixing and applying Iced Resin. 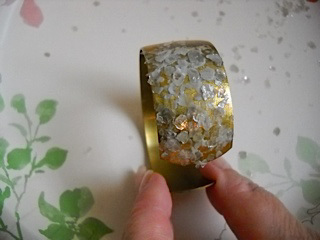 I wait one whole day before applying the Resin. 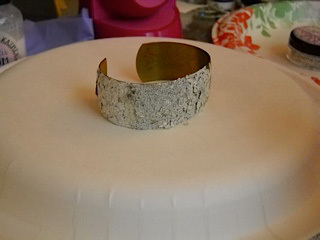 And I wait three days for the Resin to cure completely before adding a second and/or third coat. 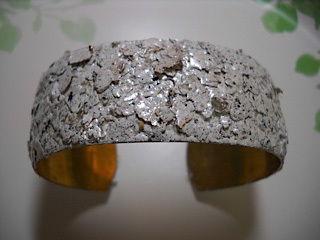 Marcia Tuzzolino began beading in early 2007. 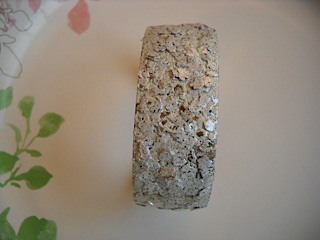 She took many classes, learning how to make many different designs using many different materials. Marcia learned design elements, how to use color, and after reading magazines and books, she began to create her own designs. Marcia also starting teaching classes in beading and wirework at her local bead store.